Now that I have a wonderful front porch, I want to decorate it for every season. Of course that means over time I need to build up all of my decor. 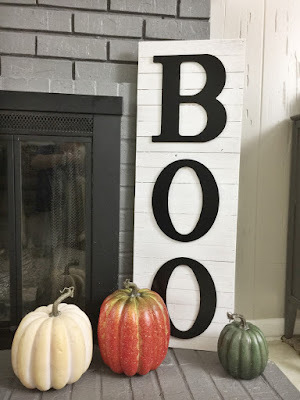 I decided to turn to blogging friends to see how they like to decorate for the fall. Hopefully you'll be inspired like I am! I love, love, love garlands and wreaths! Luckily, My Home Based Life has two DIYs that are perfect for both. First she has an Easy Fall Garland DIY and then a Simple Fall Wreath DIY. The two words I like the most? Easy and Simple! Next we have the simple elegance of an Easy Fall Outdoor Home Decor by FrugElegance. I love how she carried out the theme throughout different areas of her home. Plus, you've got to see how lovely her outdoor seating is. They also made this wonderful Fall Grapevine Wreath! Ever wonder how to pick the "right" pumpkin? 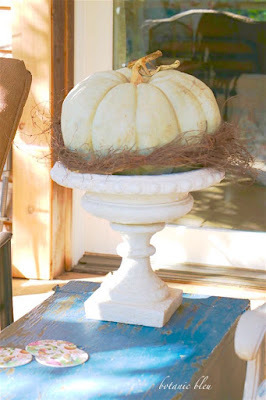 Check out this fun post: GREAT Pumpkin For Fall Porch by Botanic Bleu. 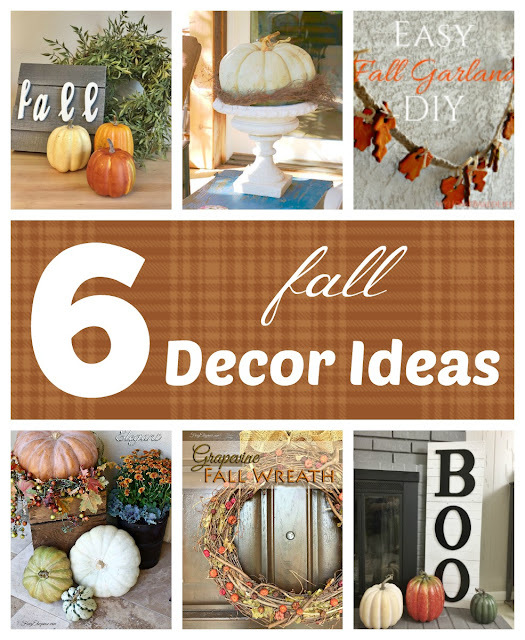 It gives some fun suggestions for decorating with pumpkins. Birkley Lane Interiors doesn't want your Halloween decor to be boring so she made an adorable DIY Halloween Boo Sign. 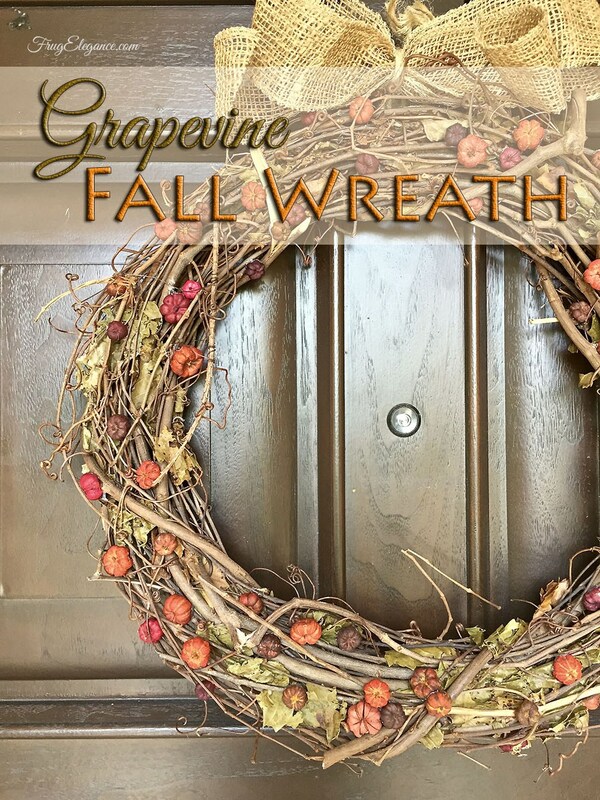 I would love to have it on my porch this fall! 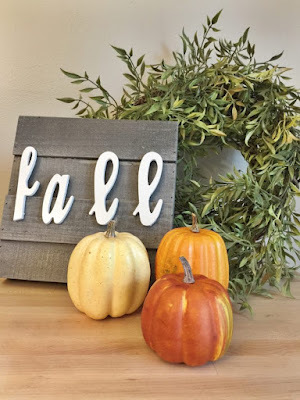 She also made a really cute DIY Fall Farmhouse Decor Craft. She shows how easy it is to make it! I always seem to want to make projects harder than they need to be. 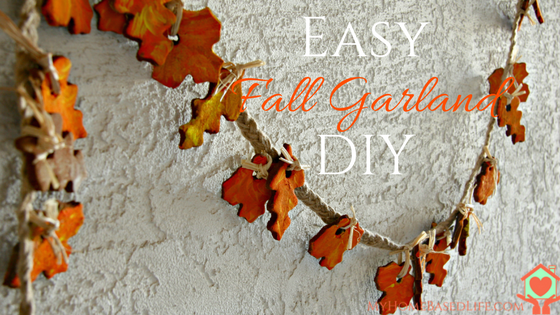 I'm hoping to get at least one of these projects done before winter sets in. lol I'm such a procrastinator! 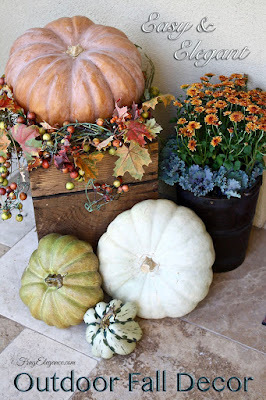 My porch is ready for some fall decor. The gal who ordered our tickets for us mentioned the My Disney Experience section at the Disney website when she was giving me a few suggestions, but honestly, I blew her off. I just didn't want to bother and I didn't want another app on my phone. I'm not a huge fan of apps, especially one I'm only going to use for a week. 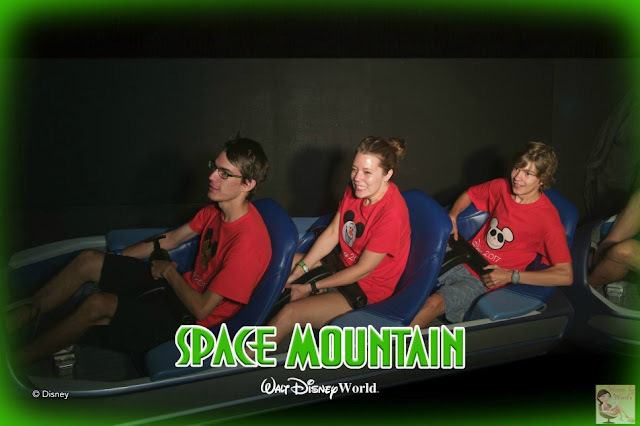 Flash forward to our first day at Walt Disney World and Fred kept telling me about the time for this ride, the time for that ride. And just so we're on the same page, I just rolled my eyes at him and went along my merry way. I can't even tell you at which point I finally gave in and downloaded the app. Alleluia! So maybe they were both right about how much I would want to have it handy! There are so many uses it for it, some of which we didn't realize until Day 3 at Hollywood Studios. 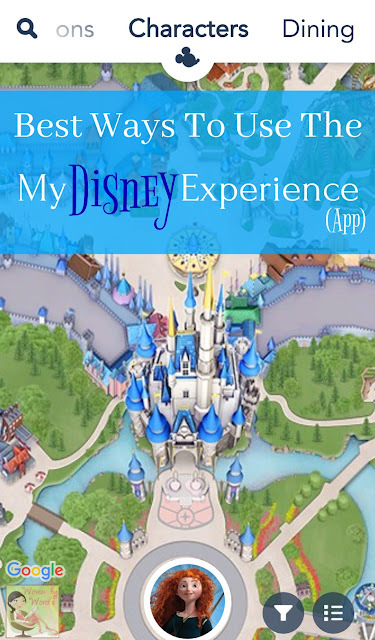 So, let's go through the many and amazing uses of the My Disney Experience App (you can also use the website). First, you can check ride & character wait times! 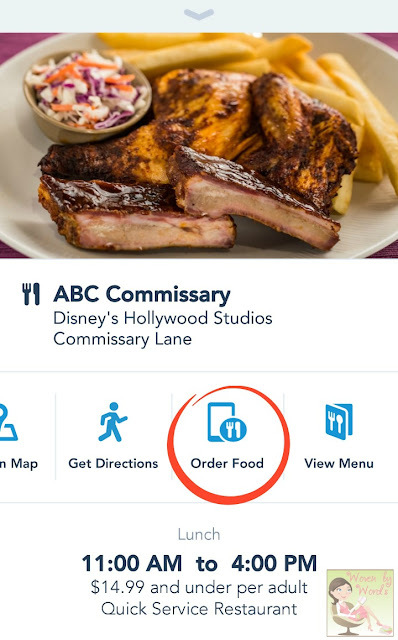 What I love about that is you can determine a plan of action while you're at each park. 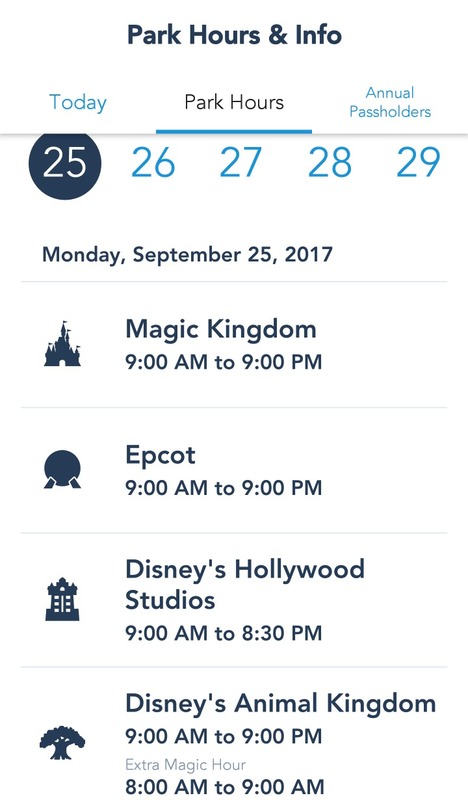 If you're in Tomorrowland and it shows short ride times for Pirates of the Caribbean and Magic Carpets of Aladdin, you can make a b-line to Adventureland. 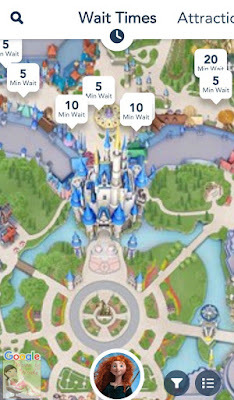 If you have some free time, but don't want to ride anything, you could see how long the wait is for the characters. 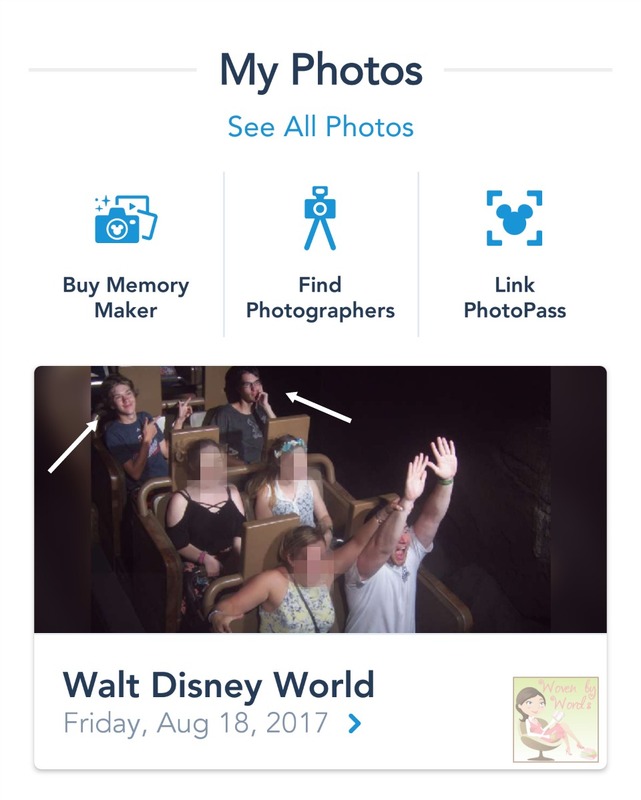 FastPass+ organization! You can check what time your FastPass+ is as well as set up new ones. 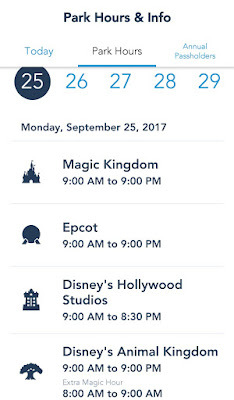 You can go into the day you're planning, see how many FastPass+ you have available for you and the group, and then see what's available. 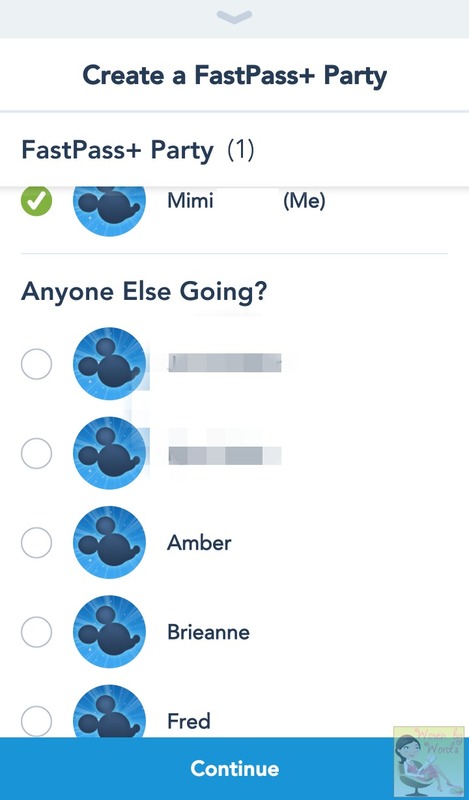 You can remove a FastPass+ that anyone in your family has and switch it to another one if you need to. How do you get where you want to go? 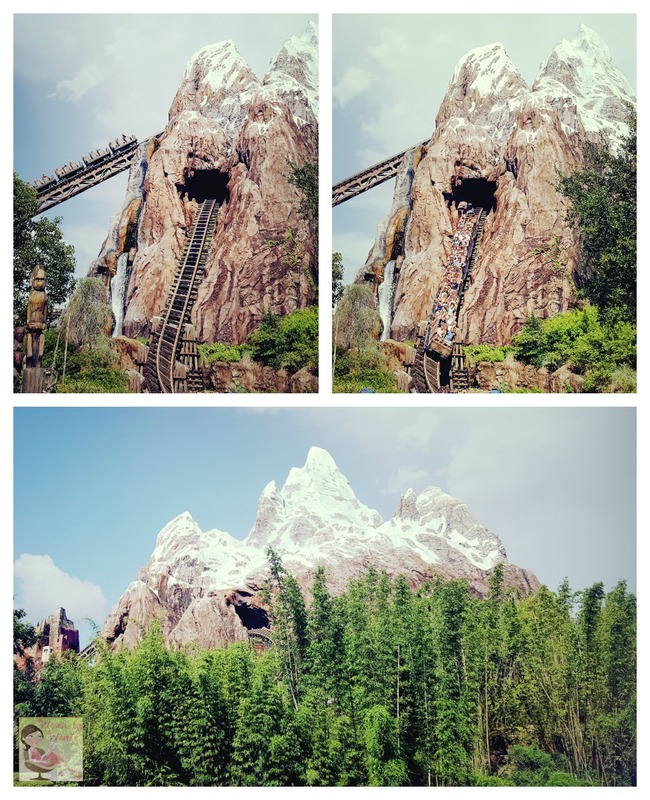 If you're at Animal Kingdom's Flight of Passage and want to get to Kilimanjaro Safaris, you can click on the ride and it'll give you the option of looking at a map to see how to get there! It's awesome! If it's a ride & the type of ride such as "Thrill Type"
And one of my favorite features is the My Photos section. You can buy a Memory Maker so that you can download photos and videos captured during a 30 day window. Then for each park you can find out where the official Disney photographers are. 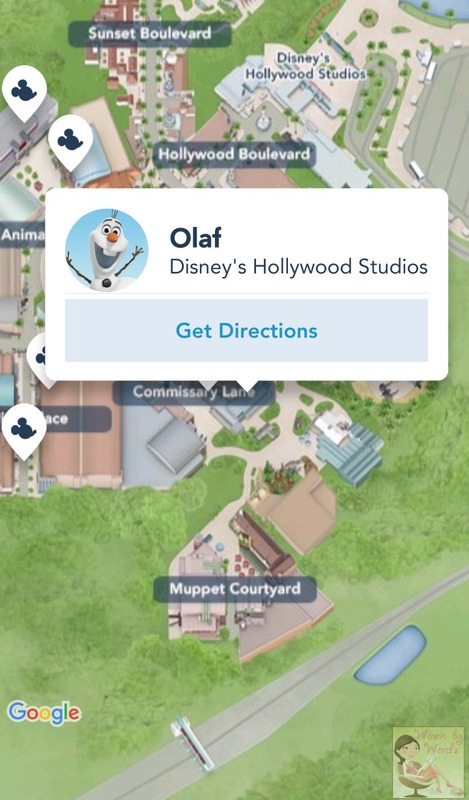 AND, every time you get your photo taken with a character, they can scan your wristband or the QR code on the app. It was really fun to go through the photos after I found that part in the app. I loved seeing the quick clip of Fred and Buddy at the top of The Tower of Terror. No matter how you look at it, this is the app to have! I thought I'd have it for a week and here we are at the end of September and I still have it. I just love going in and looking at it to see what the wait times are, which characters are available that day, etc. When you go, be sure you download it! 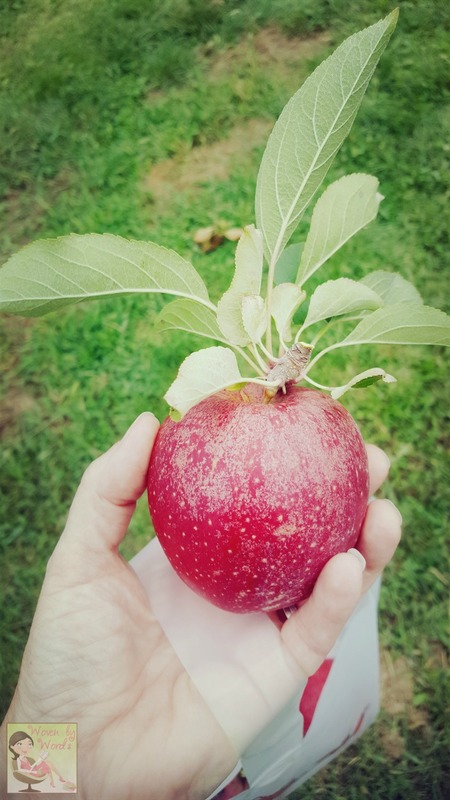 This past weekend we took at day trip up to Pennsylvania with the plan of the boys and I going to pick apples while the Freds went to find dad a new phone! Pap had gone apple picking a couple times in the past week and had been able to get Honeycrisp, but unfortunately, by the time we got there on Sunday, we were only able to pick gala apples. 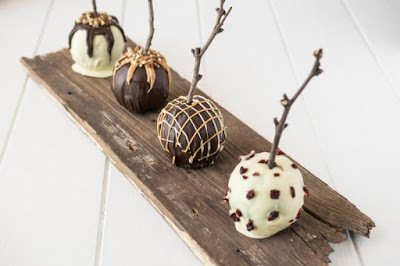 How about these Homemade Chocolate Apples from Culinary Ginger. 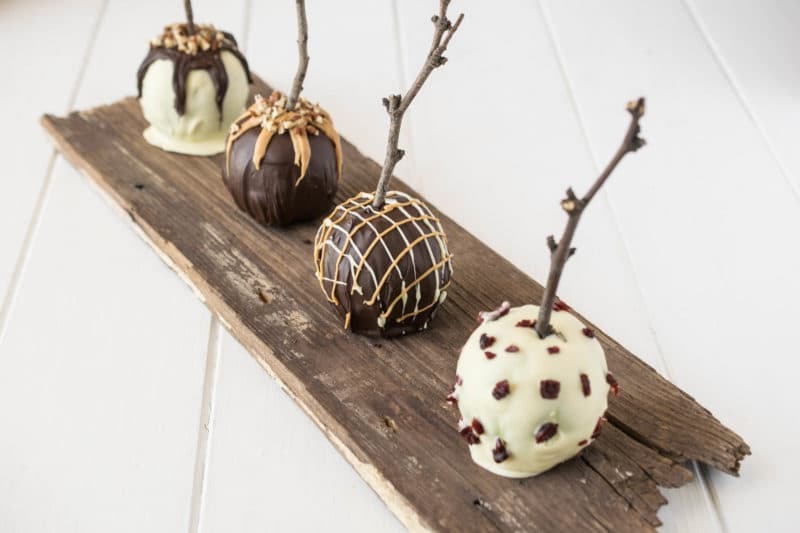 They're almost too gorgeous to eat! You can't beat starting off your morning with these amazing Apple Waffles with Cinnamon from Blondie-ish at Kitchen. I'll take it! 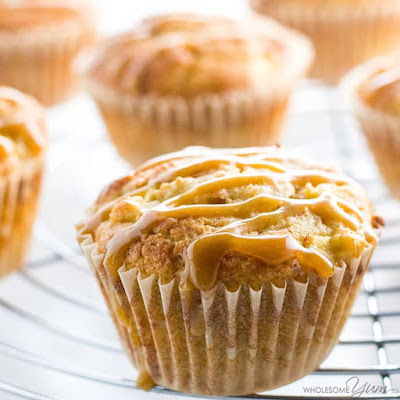 Who can turn down a muffin? 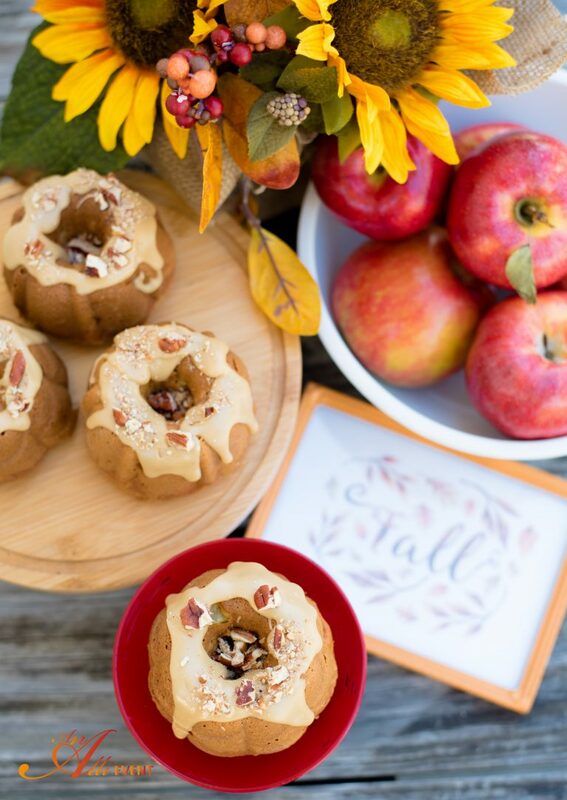 These Sugar-free Apple Muffins with Salted Caramel look like heavenly, fall treats from Wholesome Yum. 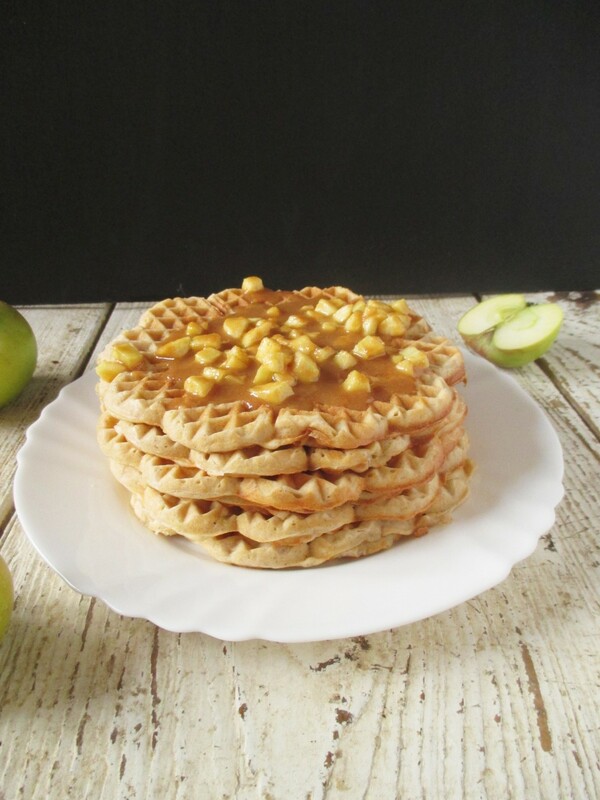 I don't know about you, but two words that should always go together are apple and caramel! 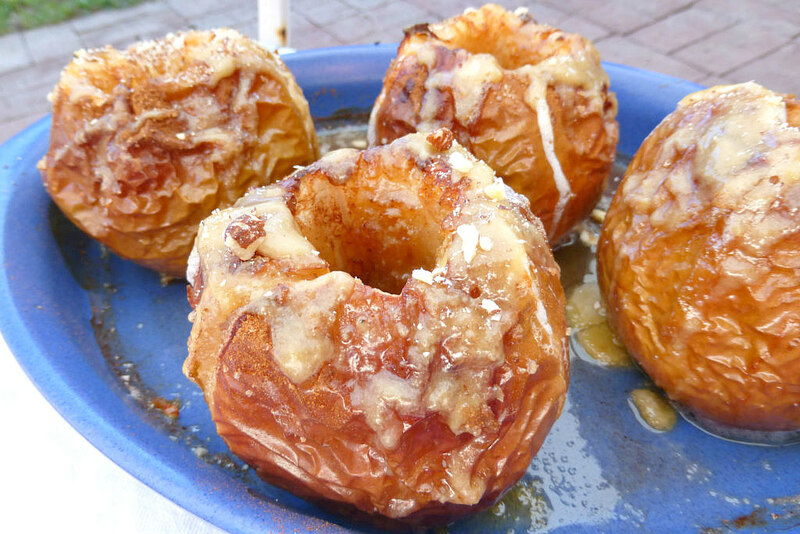 That's where these Baked Apples with Homemade Caramel Sauce come into play. Thanks to The Culinary Jumble for this treat! 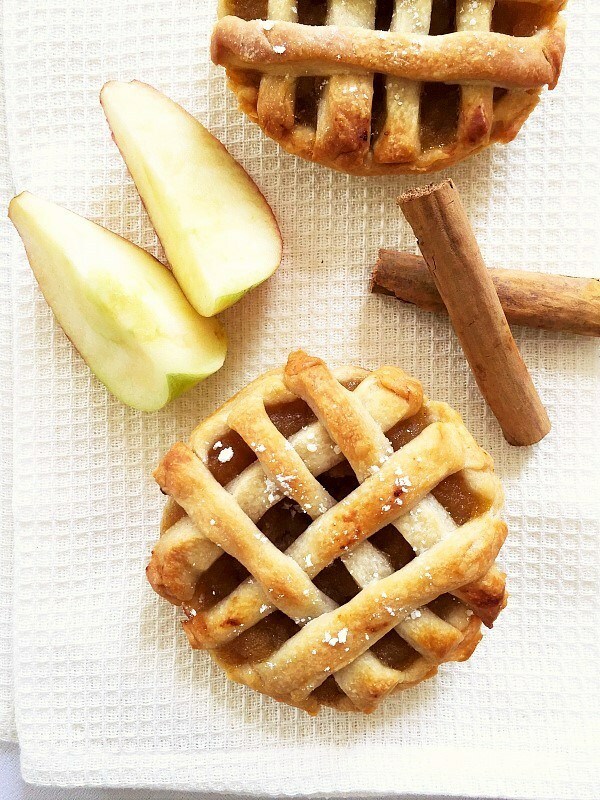 I'm all about apple desserts and Mini Apple Pies will do the trick! My Gorgeous Recipes' look like they'll fit the bill! As I was shopping the same night we picked apples, one of the things I wish I knew how to make was applesauce. Well, viola...Hustle. Mom. Repeat. 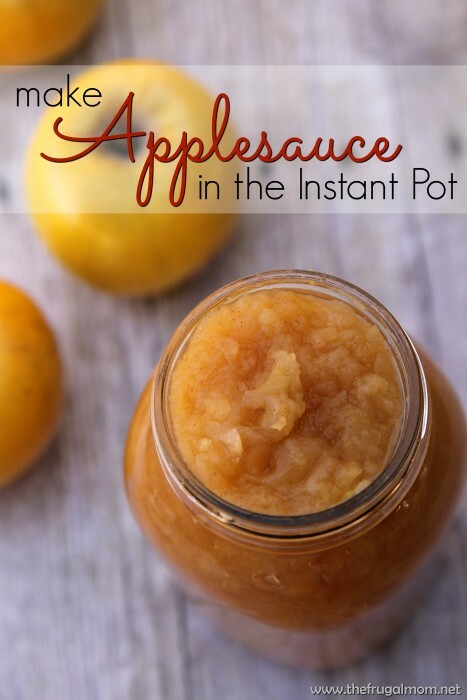 has a How to Make Applesauce in the Instant Pot. Oh my gosh...these look like sweetness in every bite! 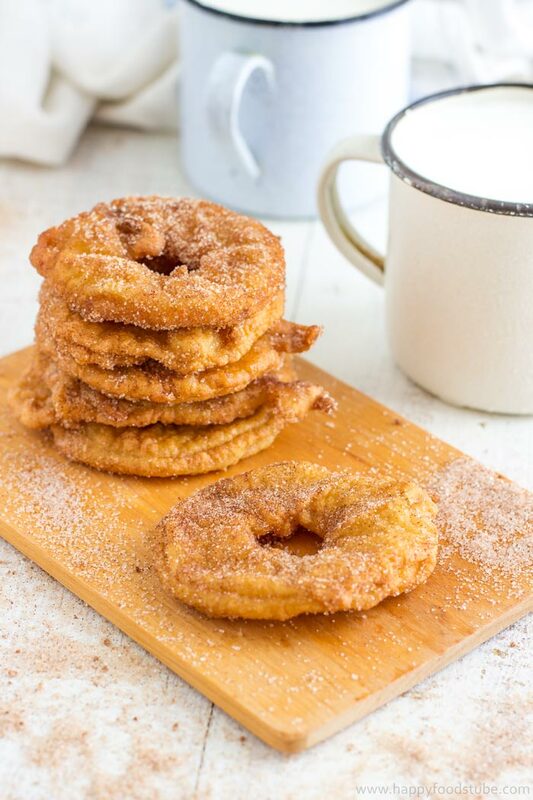 I mean, don't these Fried Battered Apple Rings look amazing? Thank you Happy Foods Tube! I have to admit that I absolutely love bundt cakes, but I never make them. This Apple Bundt Cake with Praline Frosting from An Alli Event has me wanting to inaugurate my bundt pan! 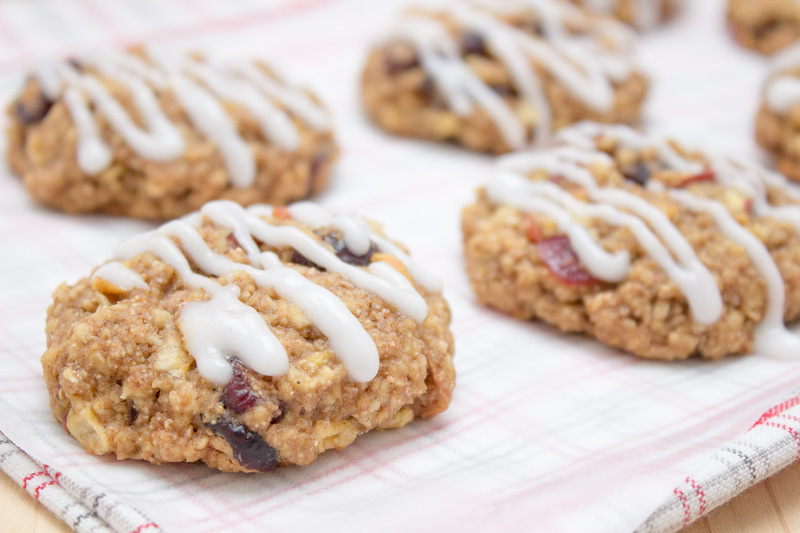 Cookies are perfect any time of the year. I'm ready to sink my teeth into these Apple Cinnamon Oatmeal Cookies from Natalie's Health. I wish I had coffee cake in my home for every morning! 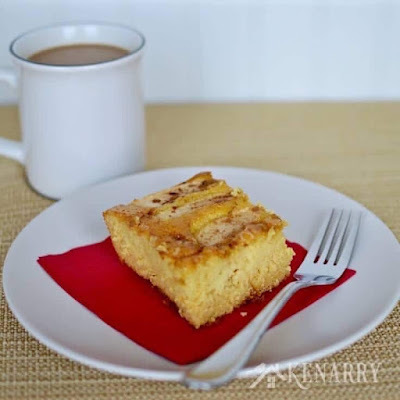 I could handle this Caramel Apple Coffee Cake from Kenarry. Honestly, I started drooling as soon as I saw Cincy Shopper's Caramel Apple Cream Cheese Ring. It looks amazing, and I'm a huge fan of desserts with cream cheese! 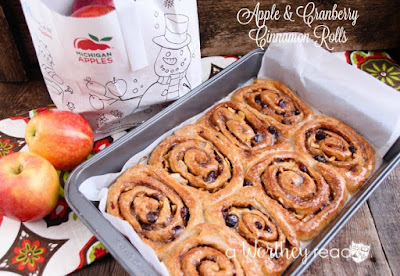 My family absolutely loves cinnamon rolls, so to have them be these Apple & Cranberry Cinnamon Rolls, you can't go wrong. 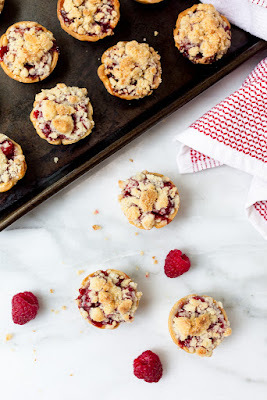 Get the recipe from A Worthey Read! 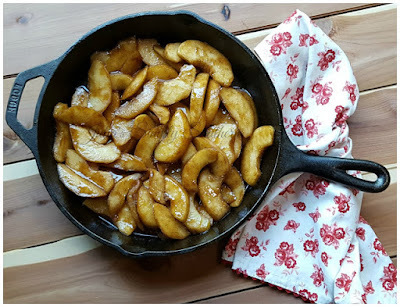 One of the best things that my boys' great gram used to make were fried apples. 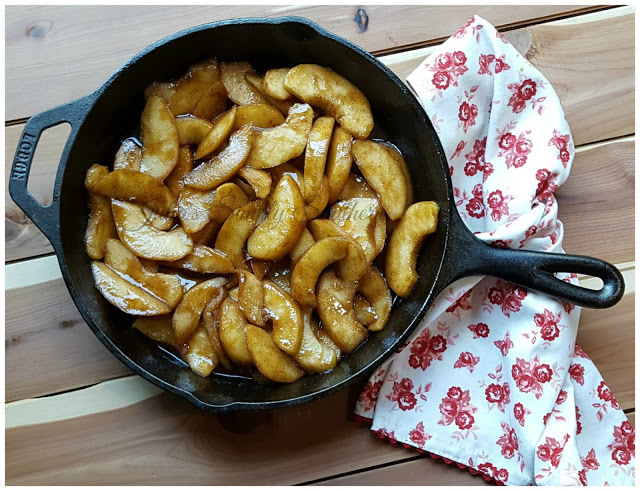 Julia's Simply Southern's Southern Skillet Fried Apples look like an amazing snack! Yes sir, I want my house to smell like apple filling! 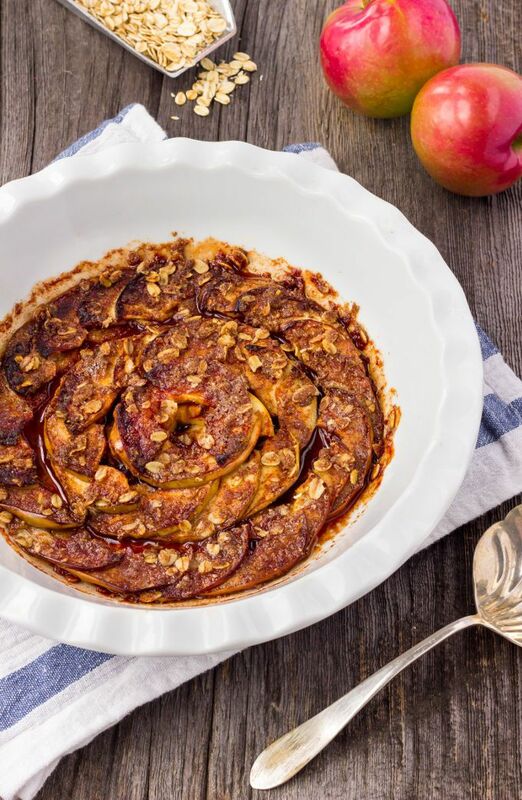 With One Clever Chef's, Healthy Baked Apple Slices with Cinnamon, I'm sure it will be in no time. I'd have to say we're a nacho kinda family. 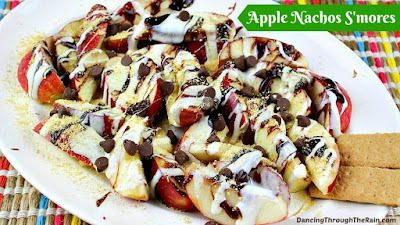 That being said, These Apple Nacho S'mores from Dancing Through the Rain will fit the bill for snack time around here! I'm a fruit pie fanatic. They're my jam! These Miniature Apple Raspberry Pies wouldn't last long around here. Striped Spatula has made me a fan. Cake glorious cake! 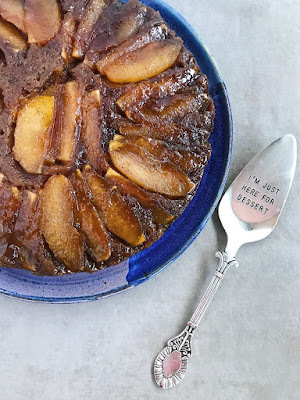 The Monday Box's 3-2-1 Caramel Apple Cake is a dessert made in the microwave! I love how quick it is to make. I'm pretty positive I've never tried a Brown Betty. I know, how is that possible? 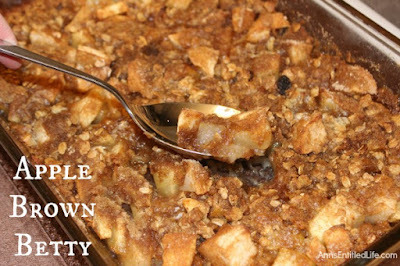 Well, with Ann's Entitled Life I'll be able to make one with her Apple Brown Betty recipe. I've also never thought to make an upside down cake other than with pineapple. Not that I've ever tried to make one of those either. 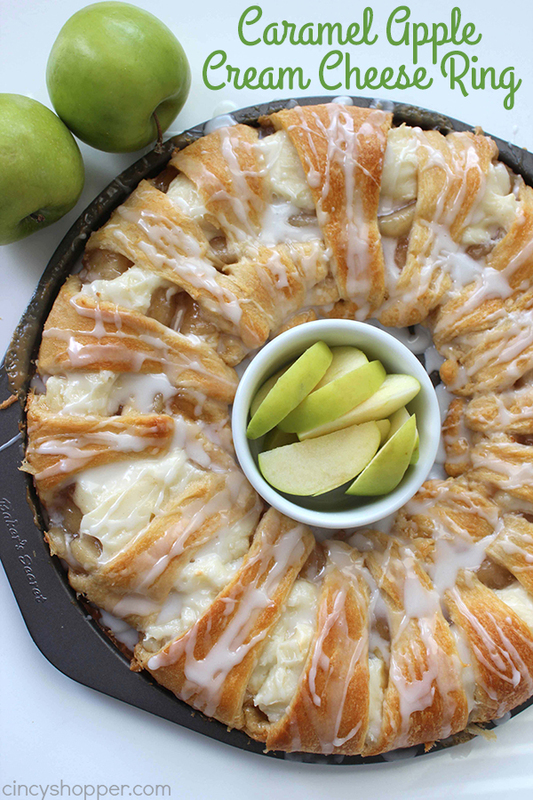 This Caramel Apple Upside Down Cake from My Frosted Life would be devoured. I'm all about baked goods and pastries of any sort. Cheesecake takes the cake for me! 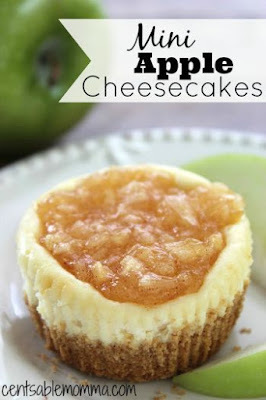 I'm pretty certain I could live off of these Mini Apple Cheesecakes by Cents Able Momma. 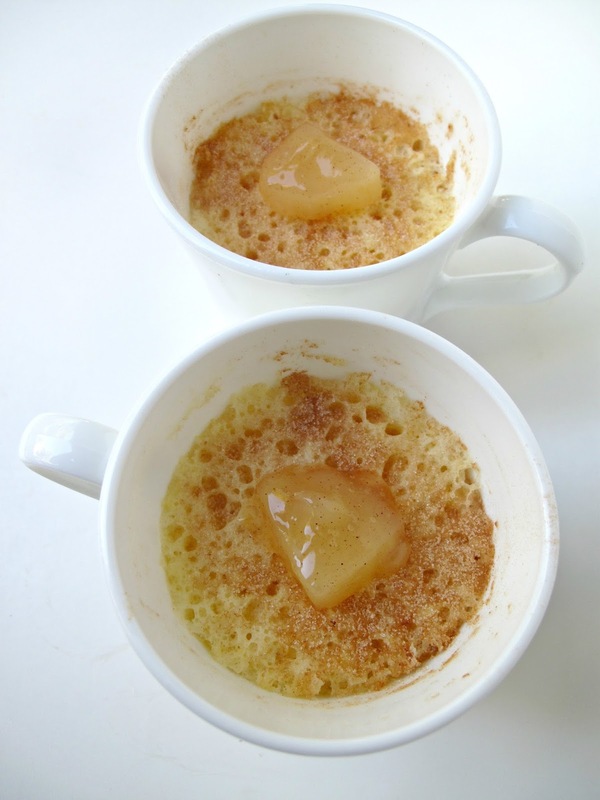 Last, but not least, is a recipe I have actually MADE in the past...but a very long time ago. It's a favorite dessert for potlucks no doubt. Try this Apple Snickers Salad and see if I'm telling the truth. 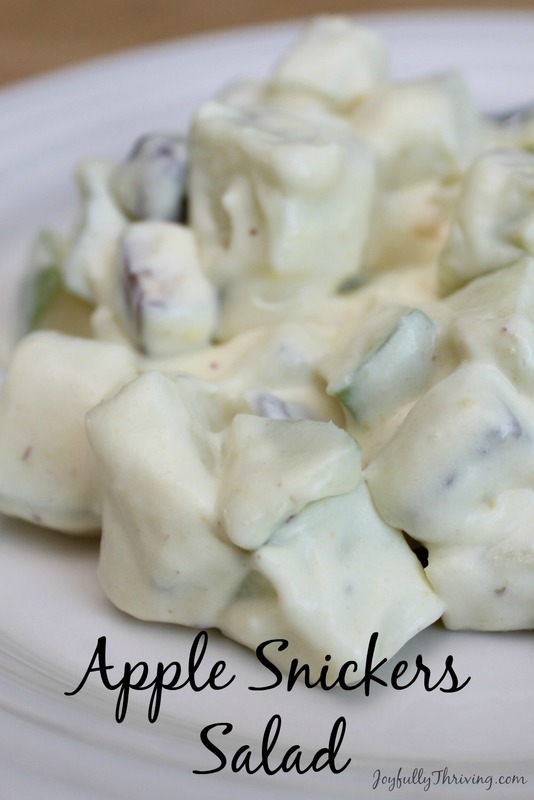 This recipe is from Joyfully Thriving. There you have it! 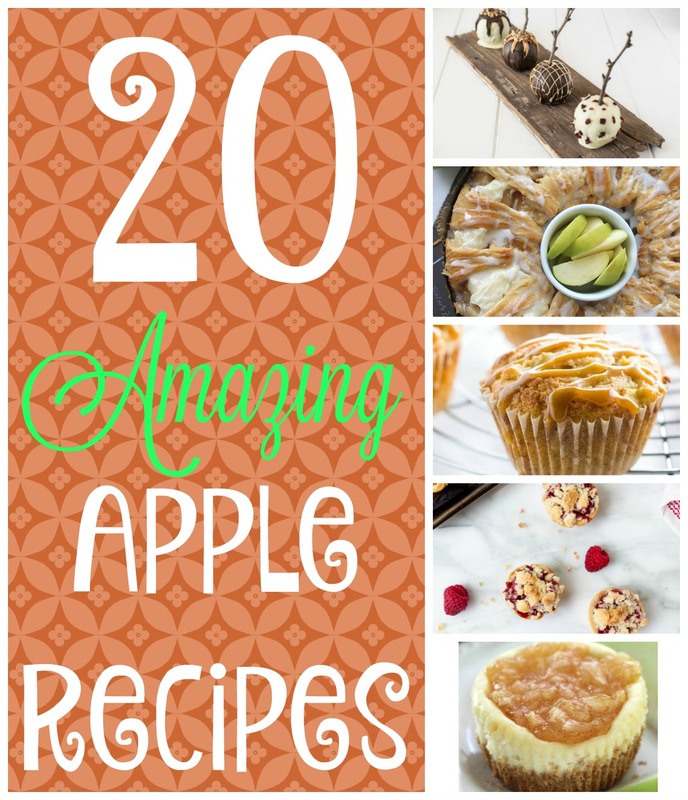 20 amazing recipes using apples. 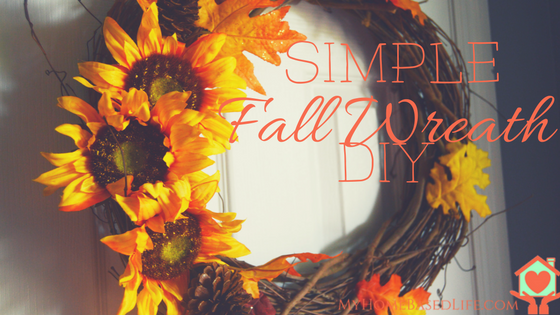 Pretty sure they should get you through fall and further! You'll have to let me know if you try any. And before I forget, you're welcome, because you're going to love them! Be sure to pin this so you can keep them close at hand. After we put Brieanne into her Uber, we headed up to the monorail to ride over to Magic Kingdom. We waited...and waited...and we ended up finding out they were closing down the monorail because they were having issues. It had pulled up about 15 min after we got there, and the people on the monorail couldn't get off because it wasn't lining up right to be able to open the doors. We decided to go ride the ferry over. We rode over to Magic Kingdom because when we'd been there on Wednesday, my youngest had wanted to ride Big Thunder Mountain Railroad. 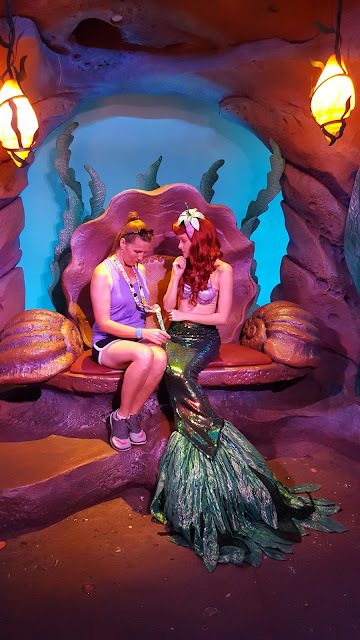 Instead of getting FastPass+es at Epcot, I got three rides for the guys on the roller coaster and at the same time I went to see Ariel at her Grotto with my FastPass+. 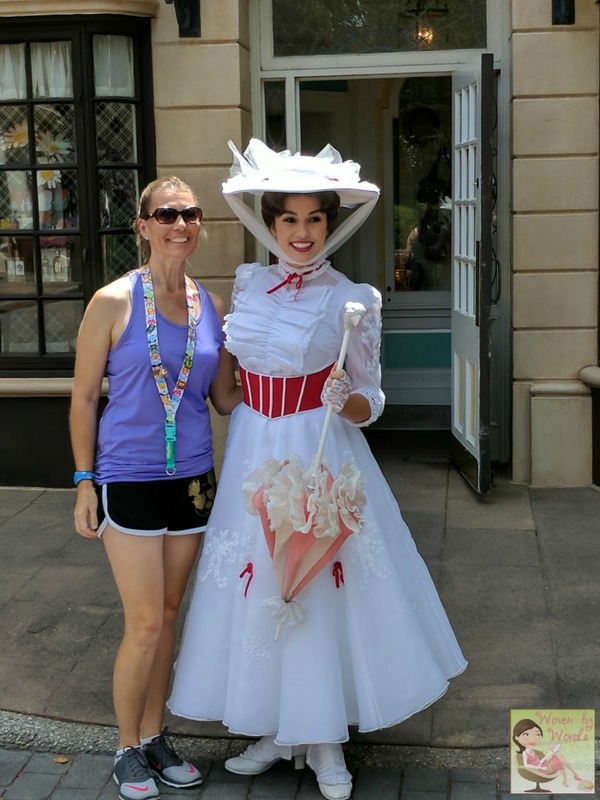 You can only get a FastPass+ at one park per day. Keep that in mind. It was fun seeing Ariel. She checked out my TsumTsum lanyard with all of the pins (sans Ariel) and suggested we go looking for more! I agreed that we needed to add to the thingamajigs we already had! Princesses are the best! I got done pretty quickly and wandered over to Adventureland. I'd remembered seeing the Genie from Aladdin years ago and wanted to find him again. We just randomly found him, so I figured he might be somewhere near The Magic Carpets of Alladin, but nope. Never found him. That's when the guys messaged me that they were done. Off to find the bus to Animal Kingdom. Yes, that's ALL we did, but it made my son happy so there's that! It's pretty easy to navigate the buses between parks. You find where you want to go on the board, head to the number in the queue, and wait for your bus to show up. It takes a short drive to get to your World of choice. When we got to Animal Kingdom, the boys headed to Expedition Everest. They ended up riding it twice. Meanwhile, Fred and I made our way around up towards Africa. 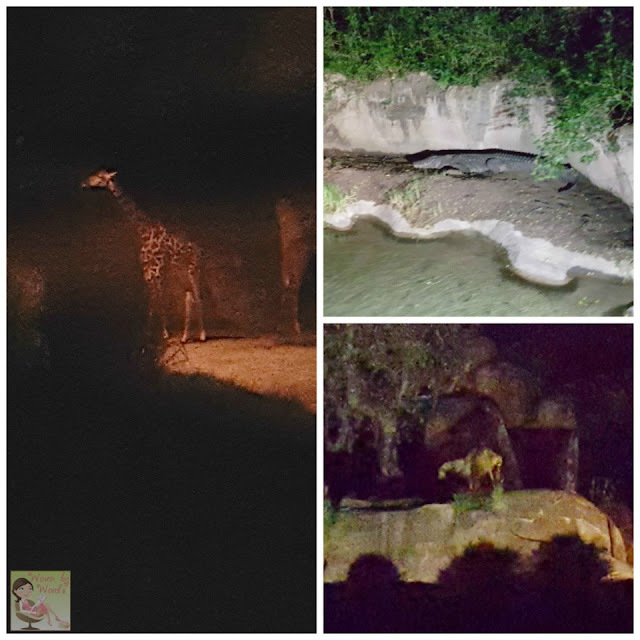 We got in line to do Kilimanjaro Safaris, but it was going to be an hour wait, and I wasn't sure I was interested in waiting an hour. Instead we got out of line and grabbed a dessert. We had no idea what to do, so we just walked around a little bit. We got an amazing view of the side of the Tree of Life and watched the short videos they show before the Spectacular. So, my suggestion to watch these is between Africa and Asia. There aren't any people and you are incredibly close to the tree! We still didn't know what to do so when we looked at the app, we found that the time for the Safari had dropped to 10 minutes! 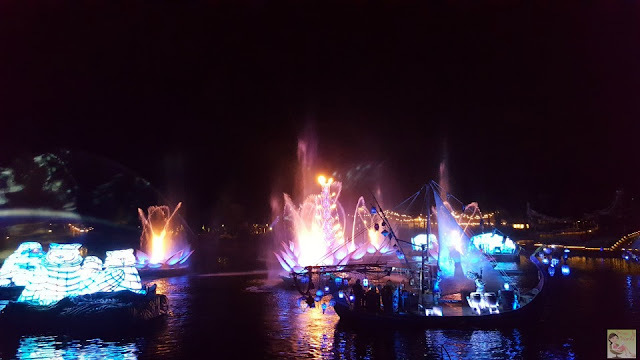 I have no idea what changed, I think the upcoming light show pulled everyone away, so we rushed over and got on asap. It was pretty cool to see the animals at night! We even head the lion rawr! You've really got to try it at night. After we got done, we met the boys for the River of Lights nighttime spectacular. We sat exactly where I'd sat the first night. I have to say, don't get the FastPass for this. Sit over towards Dinoland. You get an amazing view pretty much smack dab of the middle of the show. 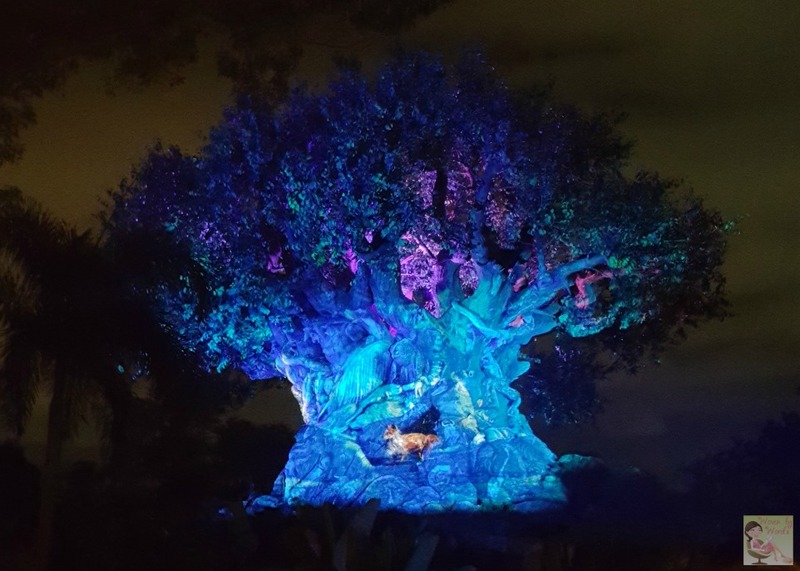 The best part is, once the show is over, you get up quickly, go past Dinoland, then towards the Tree of Life, and then out of the park. Once again we headed over to wait for a bus to head back to Epcot. There were only 5 of us onboard and when we got back to Epcot there were about 5 cars left in the parking lot. We took a couple of last shots of the Showcase before we left and headed back to the time share for the last time. 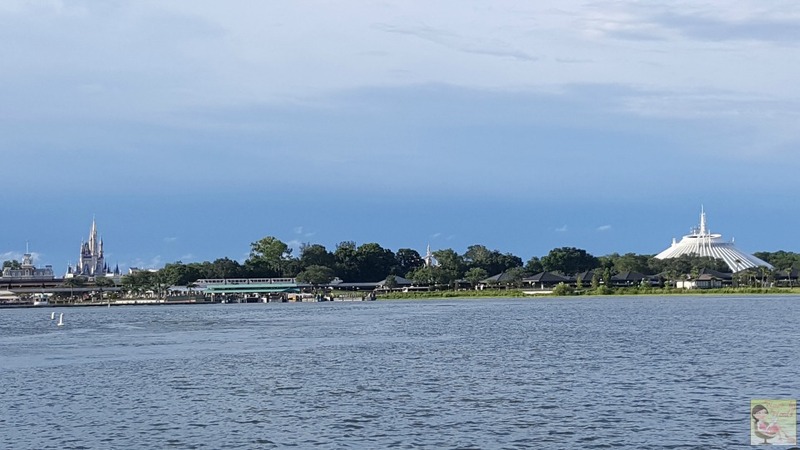 It was an amazing week in Kissimmee and I will remember it for years to come. I absolutely can't wait to get back as soon as I can! Our last day...LAST. DAY! I have to be honest, I love Minnesota and Peru, but being back at Disney World, it's definitely my other happy place and I wasn't quite ready to leave the next day. I was determined to enjoy this day. That's all there was to it! So, here's the thing. If you get to Epcot at 9am, you're probably going to get great parking! We were literally at the front entrance to Epcot. That was so awesome! 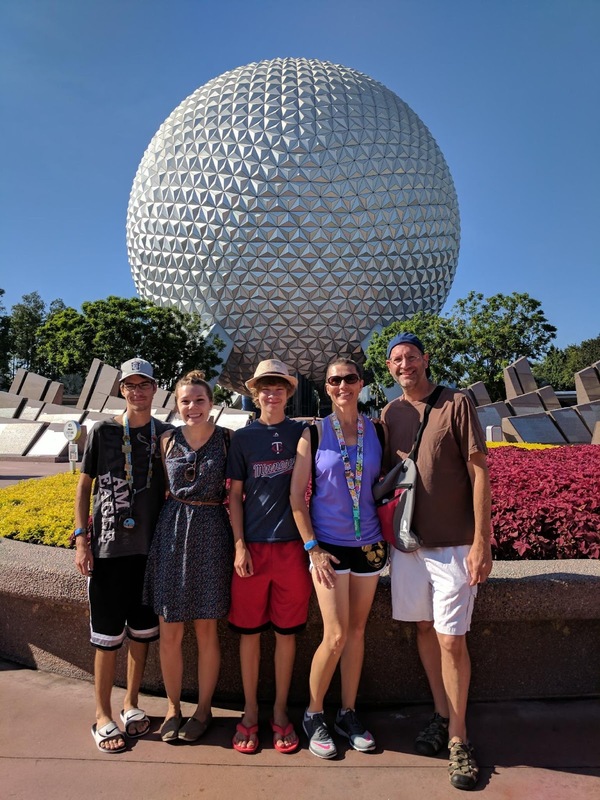 We got into the park and definitely did the obligatory family photo in front of Spaceship Earth. We headed to Mission: Space because my plan was to get the rides out of the way and head on to Magic Kingdom and Animal Kingdom. 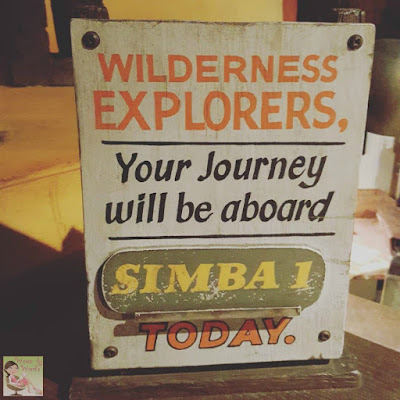 Ok, I had NO idea that there were TWO rides now. I remember when it opened because it was new in August 2003 and we were there in January 2004. That feeling of being shot over the moon? SO cool. I guess they've changed it up so you can have an intense mission or a more family friendly one. I had no idea, but thankfully we got the more intense one! I love G-forces, especially when my feet are planted on terra firma! Now here's where thing changed for me at Epcot. First, I remember it being a LOT bigger 13+ yrs ago. I have no idea why. 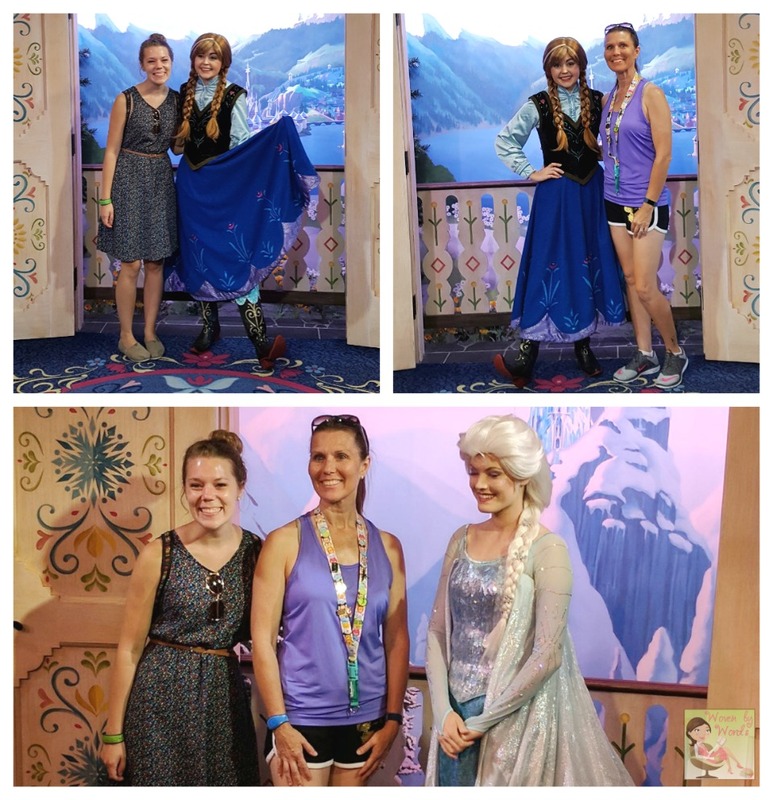 We headed over to see Elsa and Anna in Norway. That went very quickly! It was fun to see both of them at once. 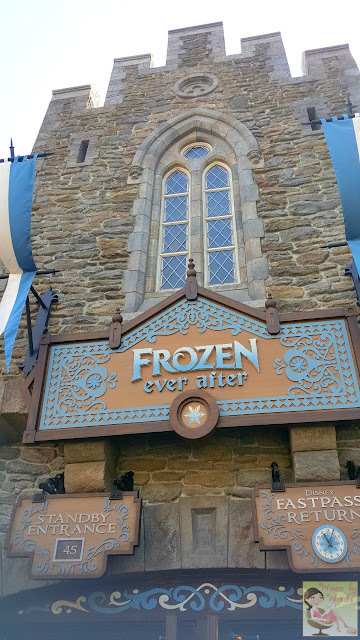 We also went to ride Frozen Ever After. The wait right away in the morning was 45 minutes. We overheard one of the gals who works there that if people didn't ride now that in half an hour the ride would be up to 70 minutes and would stay that way for the rest of the day. So. We went. That was definitely a fun little ride. Just beware your bum will get a bit wet. Ok, so finally we started heading towards France because...beignets! 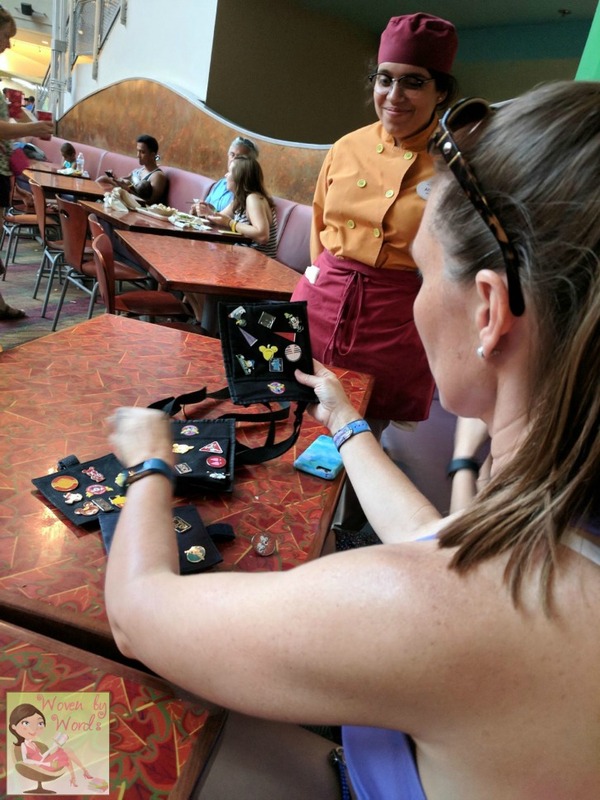 Unfortunately, Fred is distracted by Mexican food, and I'm distracted by all the shops where I could possibly trade pins, and then I'm distracted by United Kingdom! Fred grabbed some fish & chips while the kids and I looked through the shops. Oh my word, I'm SO ready to go to England now! I ended up buying a ring, but I'm actually bummed I didn't buy a tea cup that said, "Mrs. Always Right" and a Diana Memorial Scarf. We finally made it to France and had a lunch of pastries! Not bad, and I tried to get my youngest to talk French to the gal who was waiting on us. No luck, although she spoke French to him. I think when we were in Norway I realized that all of the people who work at the countries are actually FROM that country. I'm a little slow on the uptake sometimes. From there we walked through most of the rest of the countries. Japan was cool! They had an assortment of some of the craziest looking packaged food and they had a ton of super cute plates and cups (all in mini size) on sale. 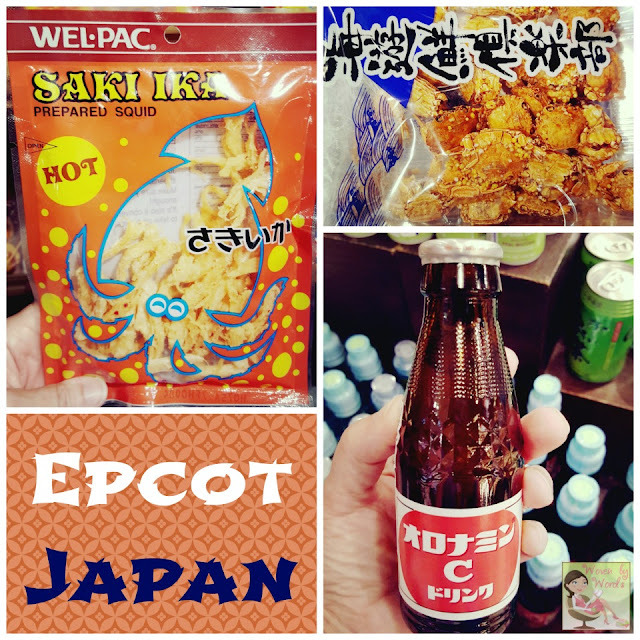 Yes people...ON SALE...at Disney World! 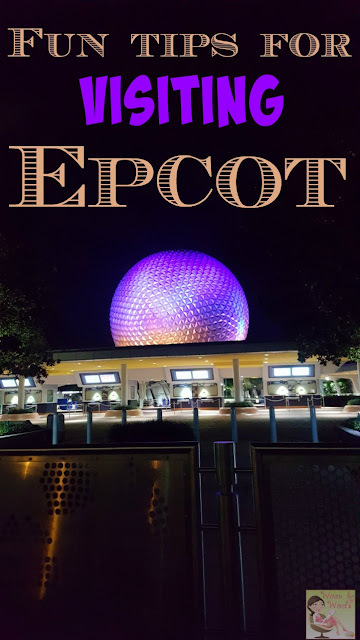 Turns out, Epcot was a place I had wished I had more time to explore. We never made it to Germany. Next time we're going to have to eat our way through all of the countries! 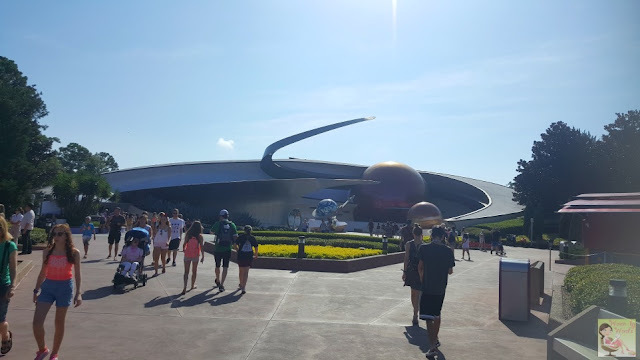 We headed to The Land Pavillion to check out Soarin'. That was a fun ride we all enjoyed. The guys rode the Living with the Land ride. 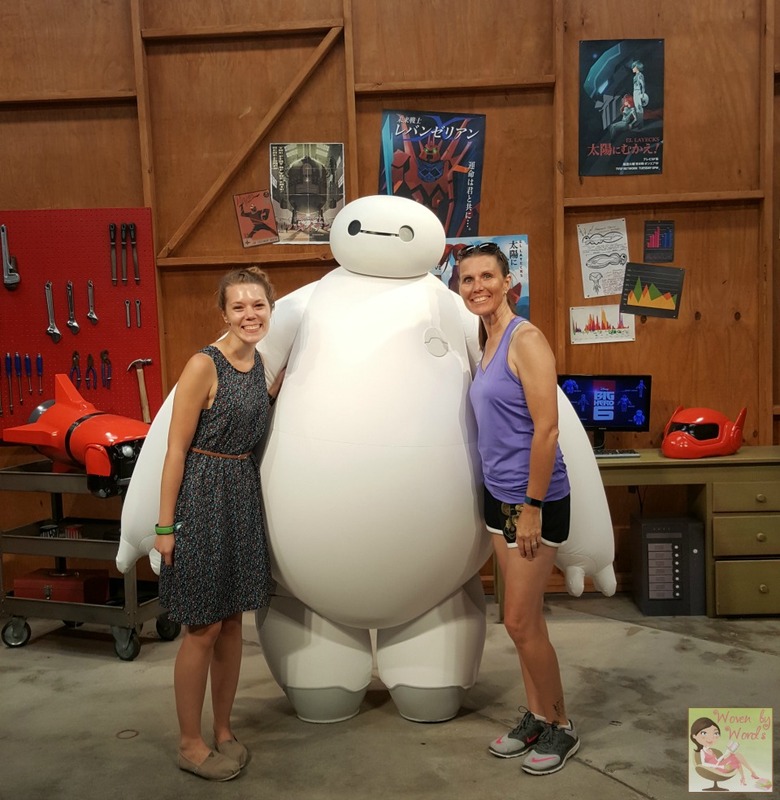 Brieanne and I headed to Future World to see Joy & Sadness and Baymax. We ended up leaving the Joy & Sadness line because it wasn't moving at all. I love that they spend time having fun with the families, but the line lasted too long. Other people ended up leaving the line as well. We went over to see Baymax, and I think they'd gone through 5 lines of people in the amount of time it took us to move about 4 families with Joy &a Sadness. Around 5pm Fred called an Uber for my daughter to take to the airport. Believe it or not, there's at least one car waiting to take people somewhere. They must make a mint at these parks! Sadly we said goodbye and headed up to grab the monorail to head to Magic Kingdom.